It’s time to celebrate something – for once. And it’s soon going to be Valentine’s Day. So here’s the idea. Let’s join together to celebrate the love between British citizens and immigrants. Let’s defy the haters. So this is a call out to ‘cross-border couples’ everywhere to celebrate their love and speak up for their rights. On Valentine’s Day, we will be launching #LoveKnowsNoBorders, a collection of stories of love and friendship between people of different nationalities. To be part of our campaign, make a short video of just a few seconds, of yourself and your partner. Tell us where you’re each from, what you love about each other and why people should be free to love each other regardless of where they were born. If you have struggled against immigration enforcement in order to love each other, tell us that story. If you are worried about what Brexit and an end to Free Movement might mean for your relationship, tell us about that. If your partner always leaves dirty socks around the house and it drives you mad, tell us that! 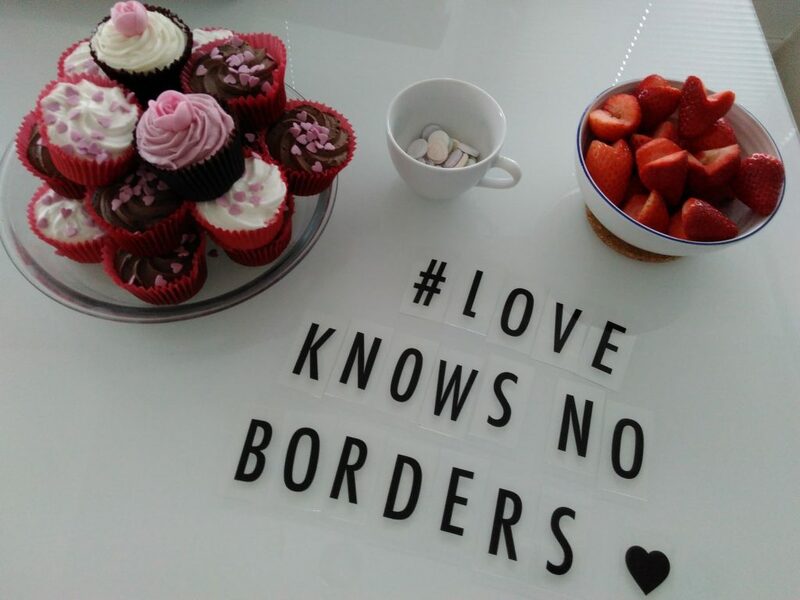 Share your video on social media using the hashtag #LoveKnowsNoBorders on Valentine’s Day, and upload it to our special #LoveKnowsNoBorders website (the site goes live on Valentine’s Day – so in three days time). Or send it to info@anothereurope.org. If you aren’t able to make a video, a selfie of you and your partner with a message would do!